Are you finding difficulty to find an appropriate partner or spouse? Is your relationship status ‘married and separated soon’? Then, you might be inflicted with Manglik dosha or Kuja Dosha. Manglik dosha occurs when Mars is placed in the 1st, 2nd, 4th, 7th, 8th or the 12th house in a horoscope. The strength of Manglik dosha is most severe when Mars is placed in the 7th or the 8th House. The other houses experiences milder afflictions only. So if the planet Mars is in any of these mentioned houses in your birth chart, it may have affected your relationship compatibility. How to identify Manglik Dosha? One reason for Mars afflictions is the malefic or unfavorable placement of Mars in your birth chart. Another reason is that Manglik or the bad placement is the result of your previous birth karmas which are now being played out. Manglik dosha or Manglik affliction can be identified from a general Mars Influence Report which shows the effects of Mars in your birth chart in general. How to overcome Manglik Dosha or Mars Affliction? Manglik remedies for Manglik Dosha can reduce the impact of this affliction and it is important to choose the right time to perform the remedy. Vedic Astrological remedies recommend a practical approach to get away from the Manglik dosha in your birth chart. There are many people who have tried and adopted true remedial and corrective measures as per the Vedic texts to get rid of Manglik infliction or kuja dosha. The best times to perform Manglik remedy or Kuja dosha remedy is, when Mars is in its own signs of Aries or Scorpio, or exalted in Capricorn. 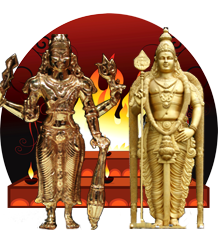 AstroVed is performing special rituals to free people from Manglik dosha or kuja dosha. We are also offering an energized relationship sustaining gem and General Mars influence report to maintain harmony in your unique relationship. So what are you waiting for, use these powerful remedies to deal with your Manglik Dosha and cherish the charm of blissful relationships. Participate in the Manglik Dosha Pariharams.